On Wednesday, April 17, the Boston School Committee announced that three final candidates are being considered for the position of Superintendent of the Boston Public Schools (BPS). The finalists will participate in public interviews from Monday, April 22 through Wednesday, April 24, which will include questions from students, parents, educators, community partners, and others. The Boston Public Schools (BPS), the City of Boston, and the Boston Teachers Union (BTU), are pleased to announce the winners of the 2019 BPS Educator of the Year Awards. The Educator of the Year Award recognizes the exceptional educators who go above and beyond to impact the lives of BPS students and community members. The program celebrates educators who exemplify a commitment to the profession by selecting educators who are worthy of representing the positive contributions of teaching staff districtwide. Building on Mayor Martin J. Walsh's long standing commitment to ensuring every child in Boston has access to a high-quality education, Mayor Walsh has announced the City will invest $15 million in his FY20 budget that will be released this month to establish the "Quality Pre-K Fund," which will guarantee equitable access to free, high-quality pre-kindergarten (pre-K) for all 4-year-olds living in Boston within five years. On Wednesday, March 27, the Boston School Committee passed the fiscal year 2020 (FY20) Boston Public Schools (BPS) budget of $1.139 billion by a unanimous vote. 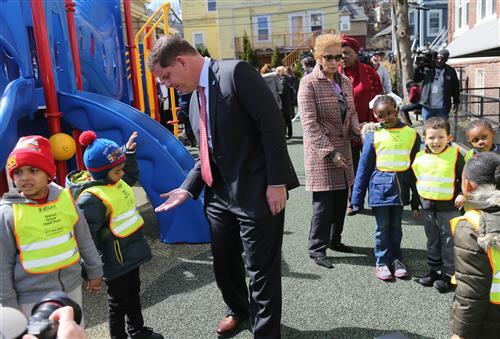 The BPS budget represents a $26 million increase over the current year and a $200 million increase since Mayor Martin J. Walsh took office in 2014.